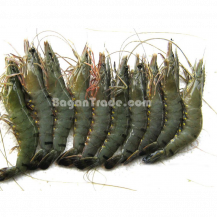 Sea Tiger prawn is one of the exporting in Myanmar seafood and its marine product. Black Tiger is fresh chilled and frozen in sea water and fresh water marine. We use Black Tiger as main dish not only in home but also in hotel and restaurant. If you want to buy Black Tiger, you can join by chat box and email. 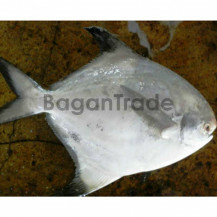 This fish is included in Pomfret fish type and known as silver Pomfret fish. One of the popular fish for BBC and other receipt. 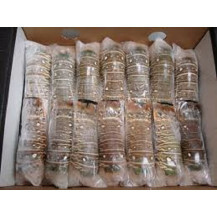 We can accept huge quality for export to foreign country. We have many experiences in this seafood field with skillful worker and skillful quality control. Do not hesitate to contact us, if you are looking for best quality seafood products in Myanmar. Can contact via mail or directly ask via chat box. Our natural soft shell crab is frozen style and natural farming from Myanmar. We use natural farming way, so our seafood products are export standard quality with competitive price. Size available from 50/70g to 120/150g and normal packing is 1 kg 10bxes per master carton and we can customize as buyer requirement. We have FDA, HACCP, HALAL certificate so buyer can confidently choice our seafood products. Buyer can contact via message box or sent to mail, for further information. 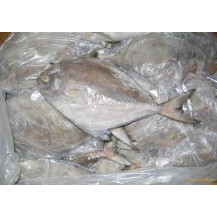 The name of this product is Black Pomfret and it is one kind of fish product. The raw material is come from Myanmar. These products are fresh, clean and help for health. All of our products are fresh and safe because we have so many experience skillful workers and check the quality with Quality Controller by step by step. If you want to know about price or detail info, you can ask by chat box. 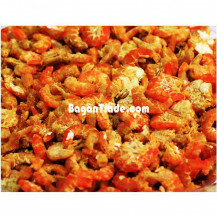 Dried Shrimp with sweet taste and size is medium. 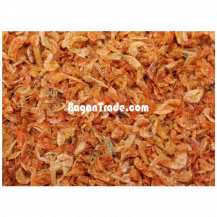 Dried shrimp or dried prawn is generally used as food ingredient for dishes. It is also a traditional Chinese food, cooked in oil with vegetables like spinach, pepper and tomato sauce in other country which is typically dried head and shell on and consumed whole. If you want to more details or order, you can join by chat box. The name of this product is Frozen Lobster and it is one kind of Marine Food. There is not only big lobster but also fresh and excellent quality. It style is freezing. The raw material is come from Myanmar. Myanmar Marine products are fresh, clean and help for health. All of our products are fresh and safe because we have so many experience skillful workers and check the quality with Quality Controller by step by step. If you want to know more detail about product or about price, you can ask by chat box. 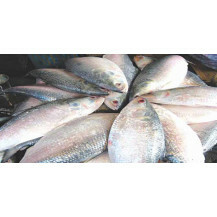 The name of this product is Frozen HILSA and it is one kind of Marine Food. There is not only fresh but also fresh and excellent quality. It style is freezing. The raw material is come from Myanmar. Myanmar Marine products are fresh, clean and help for health. All of our products are fresh and safe because we have so many experience skillful workers and check the quality with Quality Controller by step by step. If you want to know more detail about product or about price, you can ask by chat box. 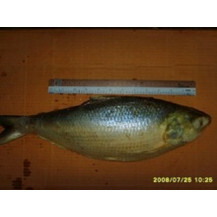 The name of this product is Mirgal Fish and it is a freshwater fish. They are very fast growing fish species. There is not only fresh but also fresh and excellent quality. It style is freezing. The raw material is come from Myanmar. Myanmar Marine products are fresh, clean and help for health. All of our products are fresh and safe because we have so many experience skillful workers and check the quality with Quality Controller by step by step. If you want to know more detail about product or about price, you can ask by chat box. Myanmar dried shrimp is famous in shrimps field because it is fresh and sweet. Nowadays, people are used dry shrimp not only in home, but also in Hotel because the taste of dried shrimps is perfect for curry. Some people are used as flavor. The raw material is come from fresh shrimp and then that have been sun-dried. After sun-dried, the shrimps become shrunk and you can eat in this condition. Our product not only distributes in Myanmar (Local) but also export to other countries. If you want to order, you can join by chat box. 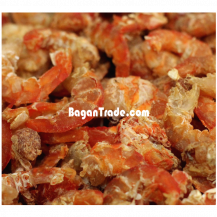 This goods name is a raw dried shrimp and dried shrimp in one of the most using food ingredients in the world. Its size is sweet dried prawn. Dried shrimp flavor is imparting a unique taste. Some are used in soups, salads, vegetables fried. When we add dried shrimps in curry, the taste is perfect and delicious. 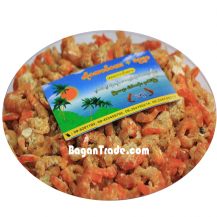 All of our dried shrimps are fresh and sweet because it is come from Ayeyarwaddy Region in Myanmar. If you want to order, you can join by chat box. 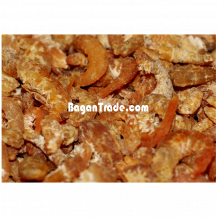 The name of these goods is dried shrimps and come from Ayeyarwaddy Region in Myanmar. You can use as food ingredient in curry. Not only used in curry but also as animals feed. In Other countries, people are used dried shrimps in curry, soups, flavor, salads and other food. If you want to order or want to know more details, you can join by chat box. This product name is Myanmar Dried fish and Myanmar people called it (ArrPhalChauk). Its smell is a little bad but its taste is good. In several of dried fish, Myanmar dried fish is also a famous dried fish and good delicious. Its size is tall and thin. It mouth is wide. 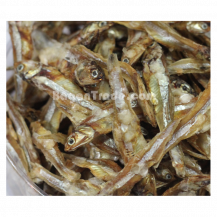 It is also a little expensive than other dried fishes but it is flavoring It can be eat by baking, cooking and frying.If you want to order, you can join by chat box. Burmese name of this dried fish is Ngaryentchauk. 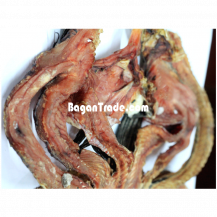 Dried Snakehead fish is one of the famous dried fishes not only in Myanmar but also in other countries. The taste is good, sweet and soft. Among of dried fish, snakehead dried fish is famous for the taste. It is also expensive than other dried fishes but It can be eat by baking, cooking and frying. It is a good fragrance.If you want to order, you can join by chat box. 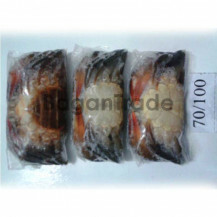 This food name is dried shrimp withsweet taste and size is medium. In Burmese cuisine, dried shrimp is called bazun-chauk and is used widely in cooking, such as salads, soups and laphet (pickled tea leaves).Dried shrimp or dried prawn is generally used as food ingredient for dishes. It is also a traditional Chinese food, cooked in oil with vegetables like spinach, pepper and tomato sauce in other country which is typically dried head and shell on and consumed whole.If you want to order, you can join by chat box or directly contact to 09-422459792. 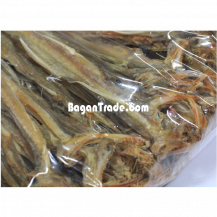 Burmese dried fish is characterized by extensive use of fish and this product name is Fresh Anchovy and they are eaten fried or as in a spicy curry. Dried varieties of anchovies small, medium and large but it taste and our anchovy’s quality is good. Anchovy are generally consumed fried, grilled, and steamed, as a meatball and so on. Anchovy also provided a cheap source of protein in the diet. If you want to order, you can join by chat box.